A former member of the anarcho-syndicalist CNT Nin later became a founder member of the Spanish Communist Party. While in Russia he became a supporter of the Left Opposition and for a time Trotsky’s secretary. 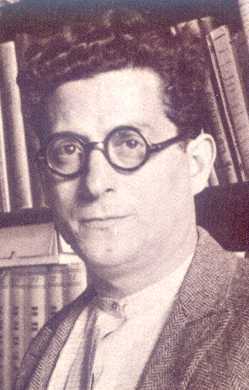 Nin broke with Trotsky in 1935 to form the POUM (Workers’ Party of Marxist Unity) with Joaquin Maurin of the BOC (Workers’ and Peasants’ Bloc). During the Spanish Revolution the POUM had some influence in Catalonia and Nin joined the Generalidad, the Catalan government, as minister for justice, but after threats from the Soviet consul in Barcelona, Antonov-Ovseyenko, Nin was sacked in December 1936. In June 1937 Nin and most of the POUM leadership were “arrested” by Stalinist agents and Nin was executed shortly afterwards. Bloc, Party or Organisation of Sympathisers?